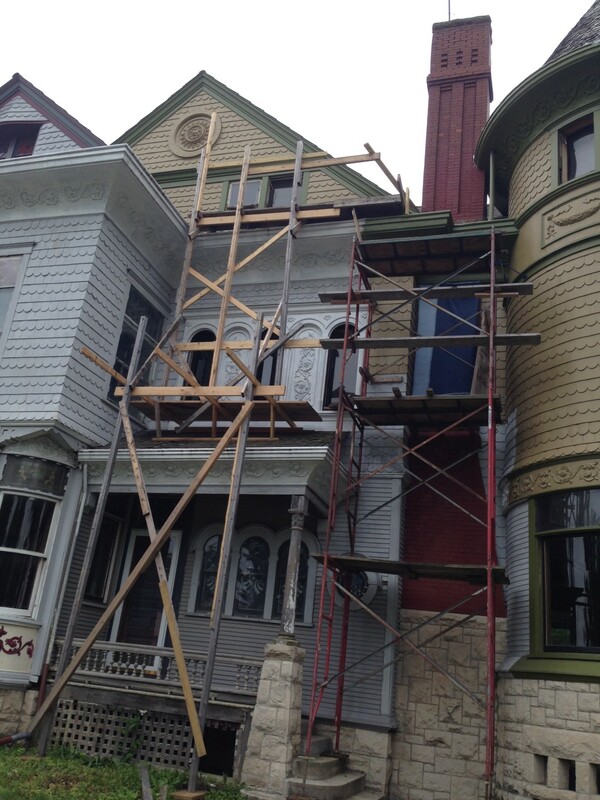 I have been inching along, from top to bottom, with painting the Great North Wall. …a miraculous device kept me from M E L T I N G. Hint: It’s blue. 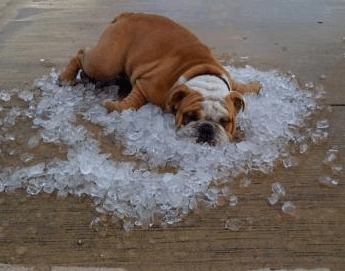 Even so, I, too, yearned for ice today. 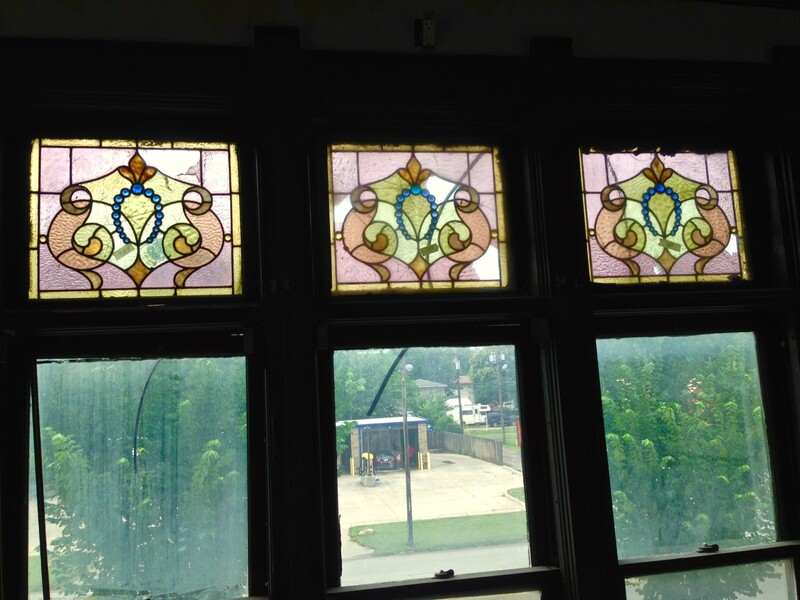 Tomorrow, I will drop off the five stained-glass windows from the long bedroom to be restored by Hoefer Stained Glass. 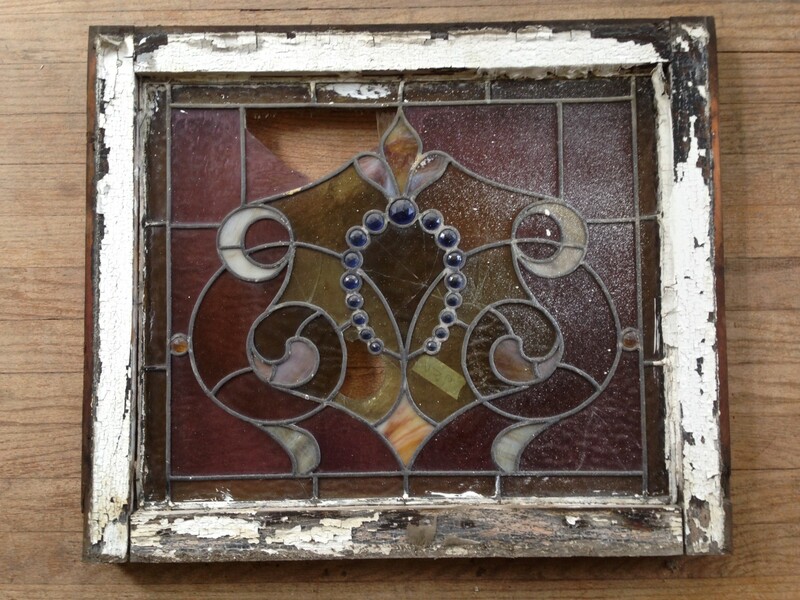 I will pick up five restored windows from the lower entrance hall. Whoee! This triple set from the long bedroom are, I think, my favorite in the house. The blue glass pieces are faceted jewels. 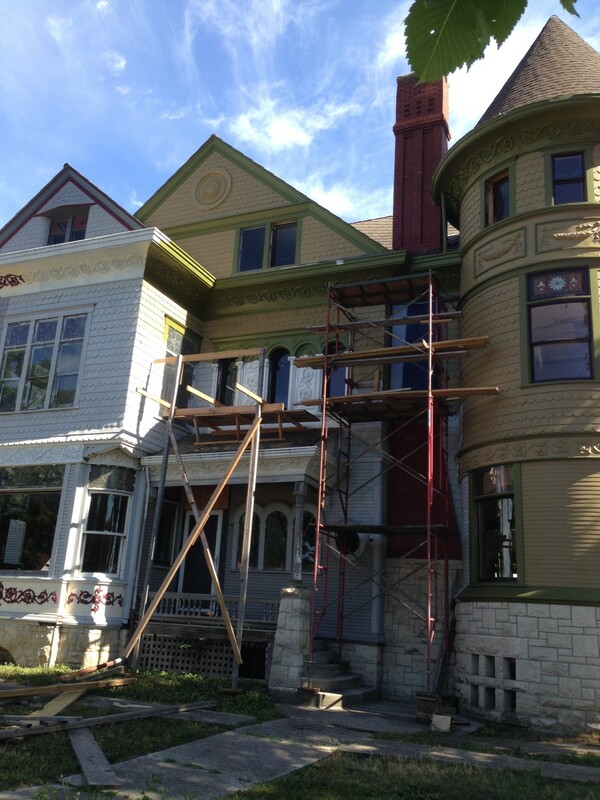 Except for the obvious missing bits, the five windows did not look too bad. Until I removed them. And shrieked. 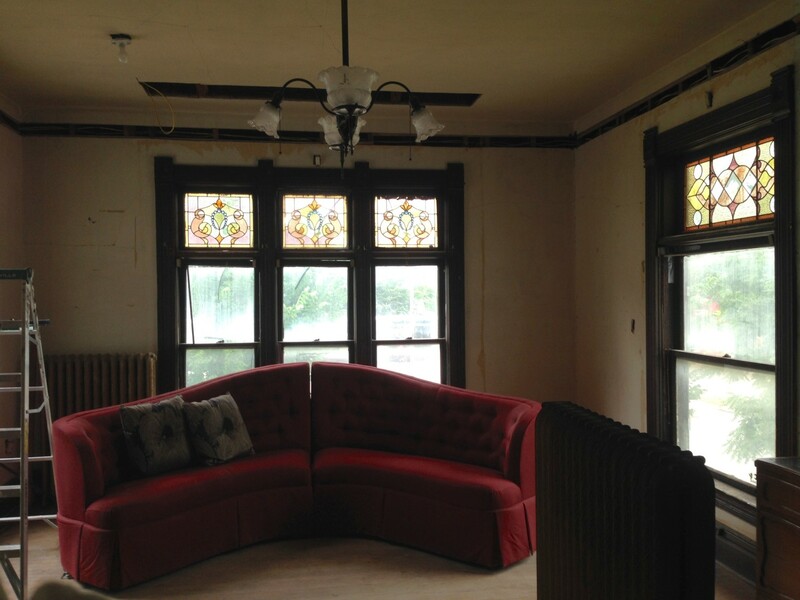 The long bedroom, denuded of colorful glass. The difference is shocking. 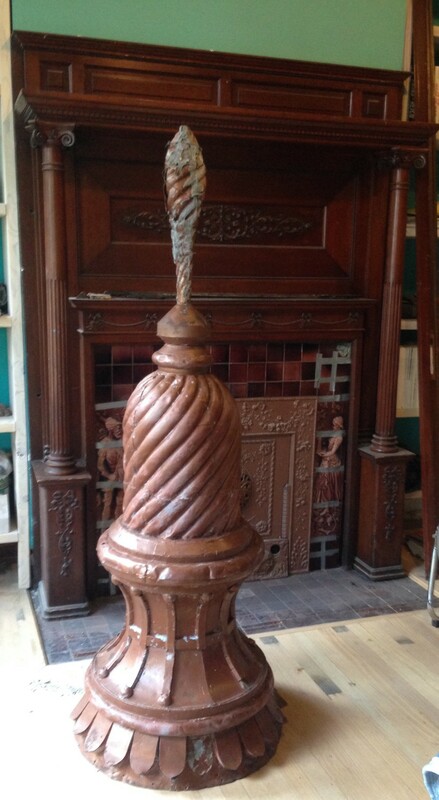 This is the turret finial after being removed from its perch of 122-years. 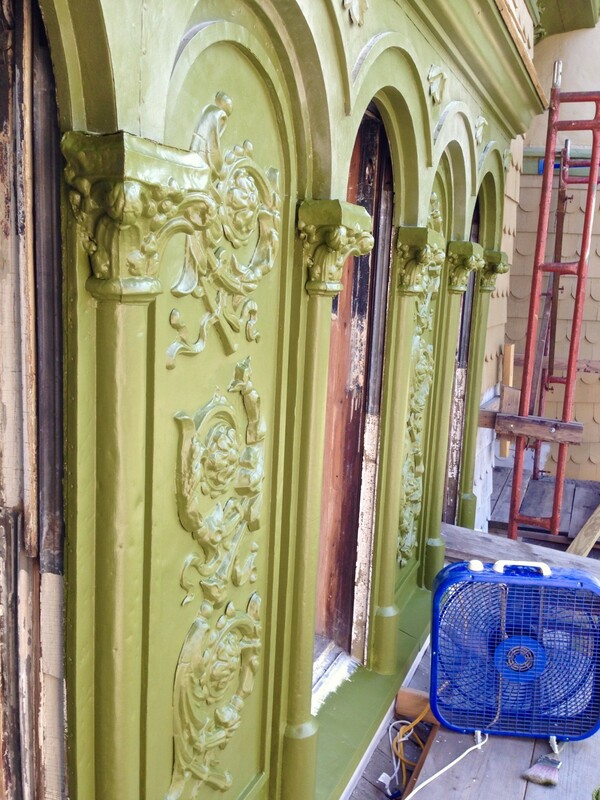 I debated just painting it and having it reinstalled, or biting the $$$ bullet and having it renewed. I took the bullet. 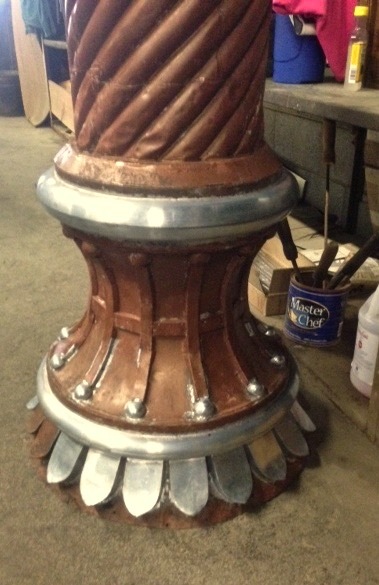 Today, Mark from W. F. Norman emailed images of the rejuvenated turret finial. Zounds! ZOUNDS! 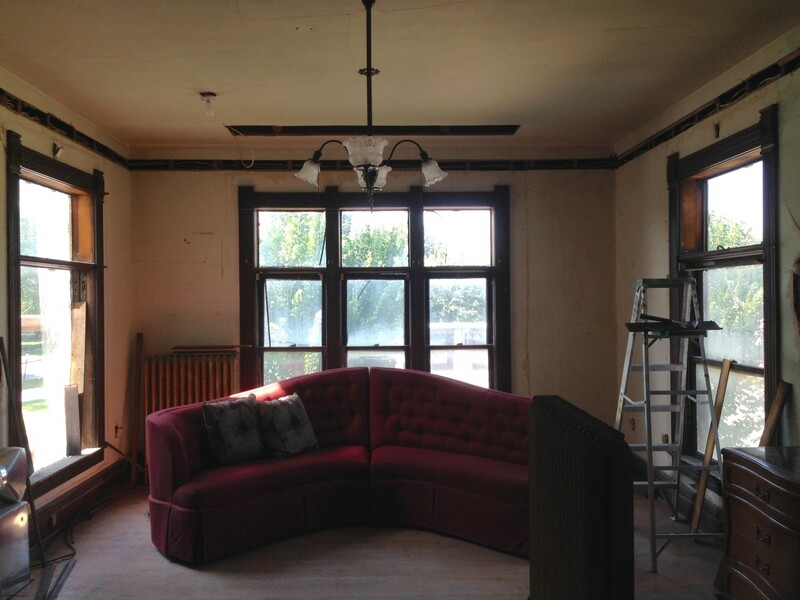 The top 18-inches of the finial was toast. It has been reborn. Zounds. ZOUNDS! This all just seems miraculous. I am quite gobsmacked. The top cap is yet to be blended into the swirls. Whoo hoo! 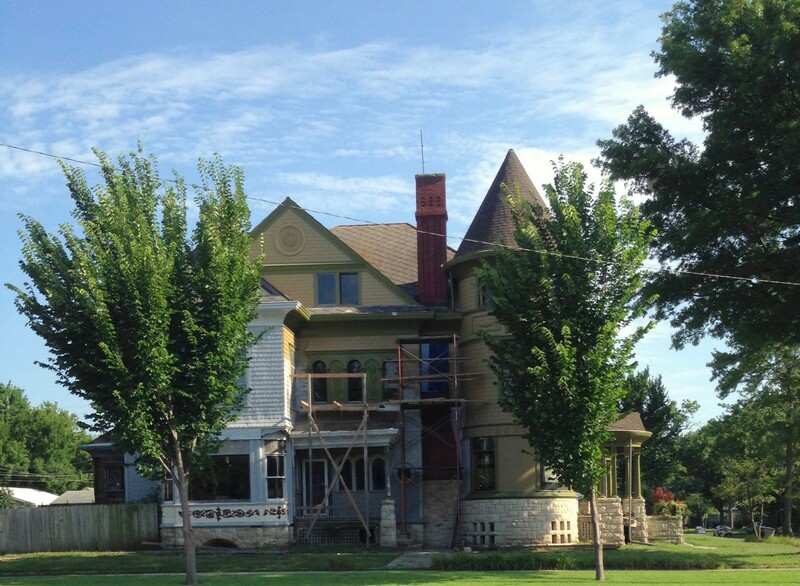 It will be so fun to drive by the house the next time I’m in town to see all your progress in person. I vividly remember digging 24x24x36″ holes for footings for a front porch in weather very similar to what we are currently experiencing. Box fans were my friends! (Though the neighbors thought I had lost my mind). Kudos to your perseverance!! There are so many awesome craftsmen in this world that we are sometimes never exposed to and stay totally unaware of their existance. Until by some circumstance we come to know of them and their craft and are blown away by the fact that they exist (who knew?) and then by the many miracles they create. Thanks for the introduction! Ross, what’s the height of your first and second floors? And how tall are those windows!? They’re massive!